With digital transformation well under way, IT leaders are expanding their roles to take on business strategy responsibilities, identifying new areas of growth and opportunities for competitive differentiation, according to our 2019 State of the CIO research. 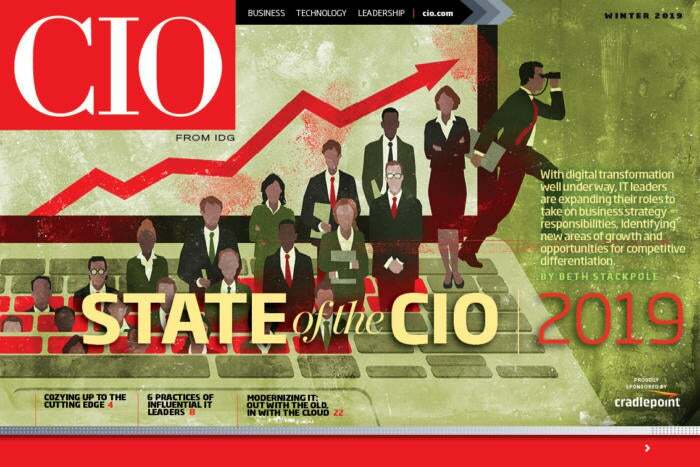 Welcome to the Winter 2019 digital issue of CIO featuring our annual State of the CIO research. In these pages, you'll learn how (and why) the top IT leadership role is evolving as CIOs take on new responsibilities, how CIOs are successfully working with startups to fuel innovation in their organizations, and how to become an influential leader.